Ask most expats for Bangkok’s top nightlife area and they’ll probably mention Thong Lor. Ask most locals and they’ll mention Ratchadaphisek — specifically Royal City Avenue, a stretch of huge nightclubs and bars in Ratchada that draws a sizable crowd every night of the week. In addition to its nightlife, Ratchadaphisek is home to several shopping malls, including one of Central Bangkok’s two dedicated technology malls, as well as a selection of fantastic Thai and Chinese seafood restaurants. Fortune Town is Ratchadaphisek’s answer to Pantip Plaza. This large shopping mall is home to hundreds of IT and consumer electronics shops stocking everything from the latest phones to CPUs, video cards and other PC components. The Street is one of Ratchada’s newest shopping malls. Located just a few minutes walk from Thailand Cultural Centre MRT Station, it’s home to a mix of fashion and technology shops, as well as a good selection of restaurants and cafes. There’s also a the Bounce Thailand indoor trampoline park on the top floor. Royal City Avenue (RCA) is best known as Bangkok’s clubbing capital, but it’s also home to one of the city’s best indie cinemas. Located inside RCA Mall, House Rama RCA plays a mix of international and Thai indie films and documentaries. The newest, biggest and flashiest shopping mall in the area, Central Plaza Rama 9 is easy to access from Pra Ram 9 MRT Station. Inside, you’ll find a range of retailers, as well as a large cineplex and an ice skating rink. Located slightly further down Ratchadaphisek Road than Central Plaza Rama 9, Esplanade is a seven-floor shopping mall that’s popular with locals. The upper floors contain an ice skating rink, bowling alley and cinema complex. Siam Niramit is a Thai cultural performance involving more than 100 performers. The show covers a huge range of topics related to Thai history and culture, including well-known Thai festivals like Loy Krathong. 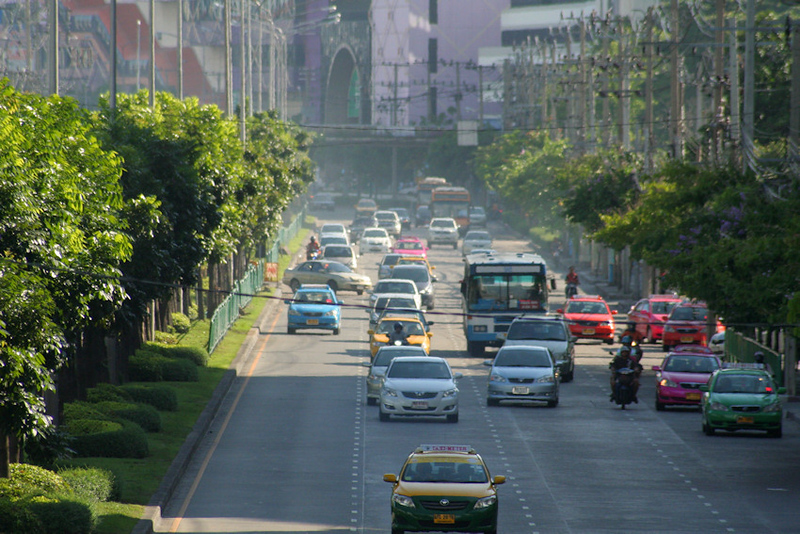 Central Bangkok is home to a surprisingly large number of driving ranges. RCA Driving Range is a large driving range with two levels of bays, as well as a small putting green. Golf clubs are available for rent on site. Located inside the quiet and largely unused RCA Plaza shopping mall, EasyKart is an indoor go kart track that’s open from 1 pm until midnight. Karts range in engine capacity from 100cc models suitable for young children to fast and challenging 270cc models for adults. Searching for cheap eats in Ratchada? In addition to the shopping mall food courts, it’s easy to find cheap food on Ratchada Soi 3. A wide range of street carts are open into the evening serving inexpensive and tasty Thai street food. Somboon Seafood is an institution in Bangkok — a seafood chain popular with both locals and tourists. The Ratchada branch is the most popular and one of the easiest to access — take the MRT to Huai Khwang Station and follow the signs to Exit 3. If you’re travelling to Somboon Seafood by taxi, be aware that some drivers might try to take you to an imitation restaurant near Phaya Thai Airport Rail Link called Somboondee Seafood, which serves ludicrously priced seafood dishes. If your driver suggests a “better” restaurant, get out and ask for another taxi to ensure you’re taken to the real Somboon Seafood. An unapologetic dive bar under American ownership, Fatty’s boasts arguably the best burger in Bangkok, although it’s a bit of a schlep to get there. There’s also often live music which can be a bit overwhelming for such a small space. 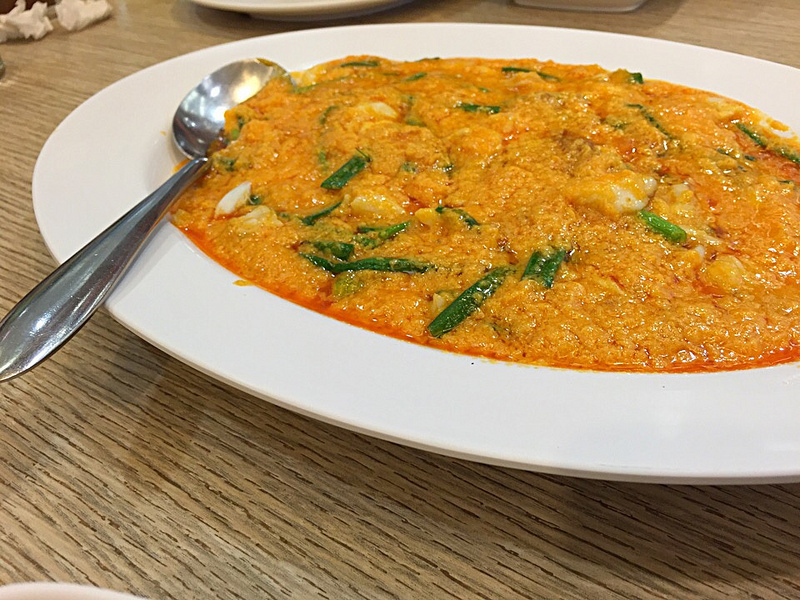 Kuang Seafood serves a huge range of fresh Thai-Chinese seafood dishes. The Ratchada branch is located on Soi 10 and remains open until 3 am on weeknights. A great late-night dining option after a night out at RCA or Sukhumvit. Kuroda – an all-you-can-eat Japanese buffet chain – has several locations around Bangkok serving inexpensive, tasty Japanese food. The Ratchada branch is located on RCA and stays open until 11 pm. An a la carte menu is available in addition to the buffet. Ratchadaphisek is full of seafood restaurants, and while Nathong doesn’t differ much when it comes to the menu, its huge outdoor water feature makes it a more relaxing place to eat than the others. The Thai-Chinese menu is mostly focused on seafood and BBQ dishes. The Esplanade contains a huge range of restaurants, making it a great place to stop for lunch or dinner if you’re staying nearby. Head to the ground and basement floor for the usual range of Thai, Italian, Chinese and Japanese chain restaurants. Central Plaza Rama 9 offers far more than the typical Bangkok shopping mall when it comes to food. Make your way to the sixth and seventh floors and you’ll spot a selection of bars and bistros serving Thai, Japanese and Western dishes. 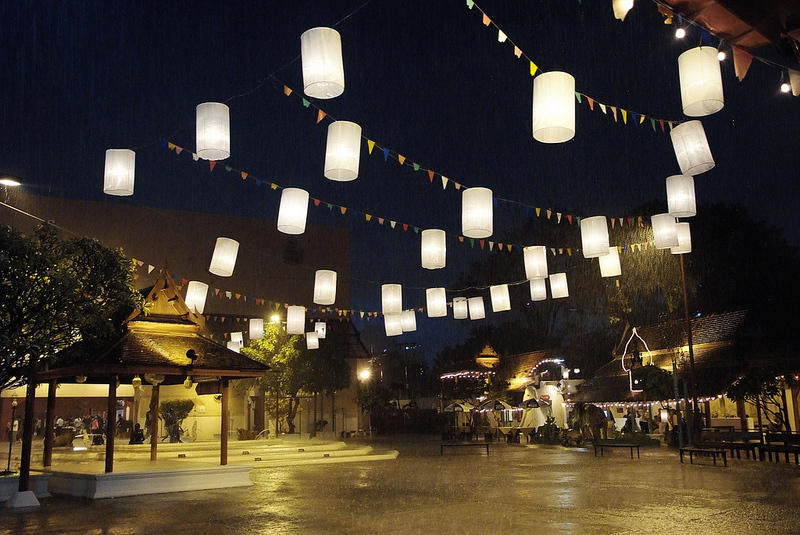 Take Exit 2 from Huai Khwang MRT Station and turn down Pracha Songkhro Road and you’ll find Huai Khwang Night Market. While there’s nothing for sale at the market you can’t find at MBK or Fortune Town, a wide range of street food vendors stay open late into the night. Swissotel Le Concorde is a conveniently located five-star hotel in Ratchada. Although it’s not the most modern luxury hotel in the city, its spacious rooms and convenient location near the MRT make it a good choice for travellers wanting to explore Bangkok easily. Located minutes from Esplanade, Amanta Hotel & Residence Ratchada offers luxurious and comfortable serviced apartments in a quiet and peaceful setting. Facilities are shared with the adjoining condo complex, making this a quiet and convenient option for families. Amari Residences offers spacious serviced apartments in a convenient location near Bangkok Hospital. Rooms are large and comfortable but the hotel’s location, which is far from the MRT, means that guests will need to depend on taxis to get around the city. S Ratchada Hotel is a clean, modern and luxurious four-star hotel located 10 minutes away from MRT Thailand Cultural Centre by taxi. The hotel’s quiet location and swimming pool give it a relaxing atmosphere that’s difficult to find elsewhere in this area of Bangkok. The Golden Tulip Sovereign Hotel offers spacious and comfortable rooms located close to the bars and clubs of Royal City Avenue (RCA). A free shuttle bus service to Central Plaza Rama IX is available for guests. Siamese Studio offers modern, stylishly decorated rooms and a convenient location not far from MRT Pra Ram 9. Perfect for travellers seeking something a different from the typical business hotels in the area. Amaranta Suites is a convenient three-star hotel located close to MRT Huai Khwang. Rooms are large and comfortable and the hotel’s free shuttle service makes getting to and from the nearby MRT station a breeze. Kamin Bird Hostel offers cheap, clean and simple accommodation a short distance from the MRT station at Thailand Cultural Centre. Dorms and private rooms are available, making this a good choice for budget travellers. Yim Huai Khwang Boutique Hotel is a hotel/hostel located close to MRT Huai Khwang. Dorm beds, which are arranged as surprisingly spacious and comfortable sleeping capsules, and private rooms are available at low prices. Cozy At Nine-Bkk is a simple and convenient guest house located within walking distance of Pra Ram 9 MRT Station. Built in 2014, it’s a modern and comfortable — if somewhat basic — accommodation choice that’s ideal for budget travelers that want to be close to the MRT. @Ratchada 14 is a cosy guest house located close to MRT Huai Khwang. Both standard and deluxe rooms include free Wi-Fi, while the hotel’s convenient location near the MRT and local shops make it a good choice for travellers wanting to easily get around Bangkok. 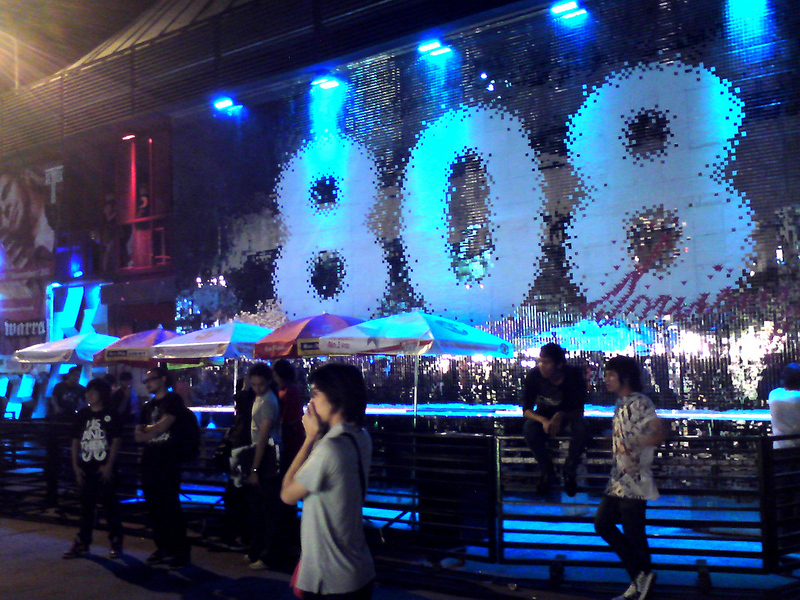 Route 66 is arguably Bangkok’s most well-known nightclub. A gigantic club, Route 66 is split into three different sections: a hip-hop zone playing Top 40 hits, a live Thai music area and an electro room specialising in trance, house and drum and bass. Entry is 300 for non-Thai residents, although this includes drink credits redeemable at the bar once you get inside. Route 66’s sheer size makes it one of RCA’s top clubs to visit, especially on the weekend. One of the newer clubs on RCA, Onyx replaced Flix as the street’s dance-focused club. The soundtrack is a mix of house, trance, drum and bass and electro, although the hundreds of tables spread across the dance floor makes Onyx better for hanging out than dancing. Hip-hop is easy to come by on RCA, but it’s more often Top 40 hits than 90s favourites. Tha Beatlounge is a hip-hop bar that plays 90s hip-hop classics and hosts open mic competitions for Thailand’s aspiring rappers, as well as open deck contests for aspiring DJs. While RCA is undoubtedly Bangkok’s middle class party capital, Ratchadaphisek Soi 4 and 6 are favourites of students and locals looking to enjoy a fun night out with friends on a budget. The clubs on Ratchada Soi 4 and 6 aren’t as polished or impressive as their counterparts on RCA, but they’re a fun and unique option if you’re looking for a cheap night out, provided you don’t mind practicing your Thai skills. 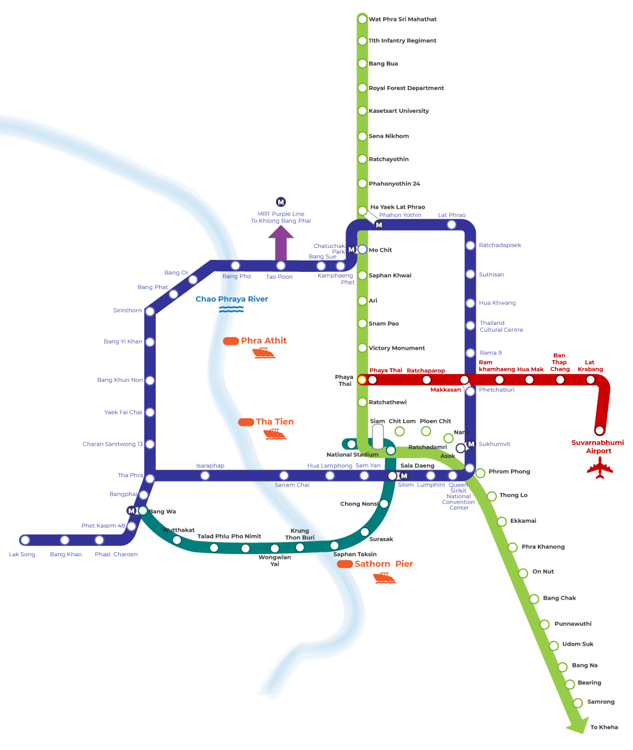 Almost all of Ratchadaphisek is covered by the MRT. Pra Ram 9 Station provides access to Central Plaza Rama 9 and Fortune Town, while Esplanade is located a minute’s walk from Thailand Cultural Centre MRT Station.